Dr. Rita M. Carty is a 1965 graduate of Duquesne University School of Nursing. The pursuit of knowledge and the sharing that knowledge has marked her career. In 1978, Dr. Carty joined the Department of Nursing at George Mason University as an associate professor and later became the chair of the department. She led a campaign to establish a School of Nursing there and was appointed its first dean. She stepped down in her deanship in 2001 but remains Dean Emeritus as well as the longest seated dean in the university's history. She received a Master of Science in Nursing degree and her doctorate from The Catholic University of America. She has published and consulted extensively and has served as president of the American Association of Colleges of Nursing. 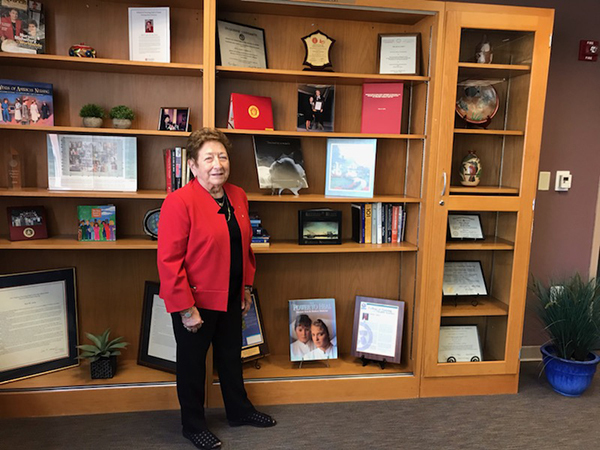 She directed the Collaboration Center for Nursing and Midwifery of the World Health Organization, is a Fellow of the American Academy of Nursing, and she is a 1992 recipient of the Chief Nurse Award from the United States Public Health Service. Dr. Carty's achievements reveal a dedication to nursing education and the advancement of the nursing profession as well as her loyal support of Duquesne University and its School of Nursing. It is for these achievements we honor her.